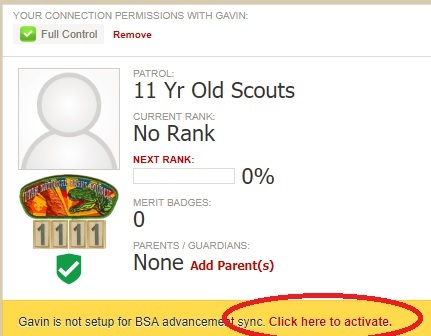 The biggest reason a youth is not activated for advancement sync is because their Member ID has not been entered into Scoutbook, this is an easy fix! Scroll down and click "Edit Profile"
On the Member Page you should still see "Click here to activate"
Either the youth will be activated, and the activate logo will show next to the green shield, or an error box will tell you the information you are missing to activate the youth. 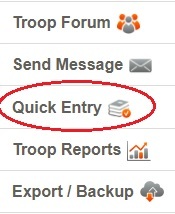 Once the info is entered, click the "Click here to activate"
Select the correct entry type from the box that pops up? "Enter Merit Badges" is for entering dates for completed Merit Badges for all youth you have a connection to. 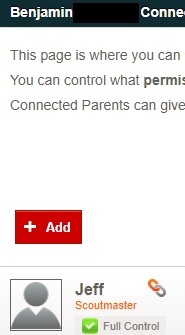 For example a parent can enter only for their child. 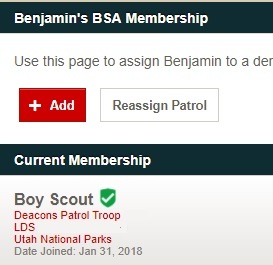 A leader can enter info for anyone in the patrol/den. 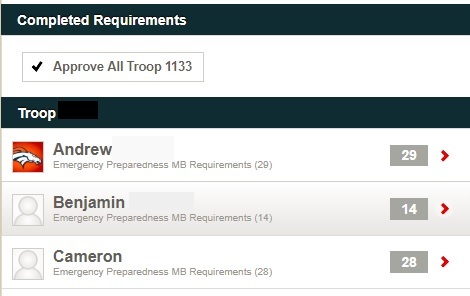 "Enter Merit Badge Req" is for entering partial Merit Badge Requirements. From the Merit Badge Req. 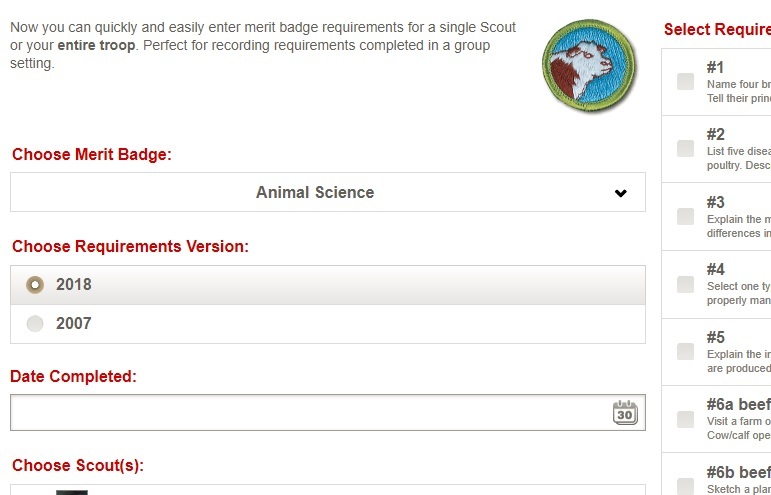 page you can select the Merit Badge from a drop down menu, which requirements are complete, and which youth have completed the requirements. Each youth can have multiple partials as they work toward the next rank advancement. 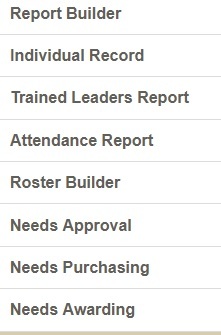 Click on "Needs Approval" to get a list of all awaiting approvals. This list gives many other options, such as getting an individual report for a youth, who is training, and what needs purchased. Become familiar with these tools for best utilization of Soutbook. 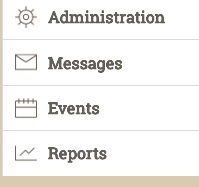 Report Builder allows you to create and save custom reports you want to refresh in the future. Any completed requirements entered from parents or leaders will appear in this report, and much be approved by a leader before they are recorded. You can select "Approve All" if you are confident that all youth have completed the listed requirements. You can also select an individual youth and then individual advancements to approve if you need to be more selective.